Providing Superior Health & Balance. Car Accident Injury? Expert Care Here. Disc Problems? Avoid Back Surgery. 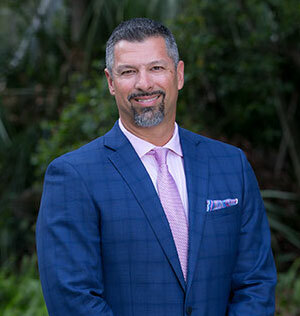 Here at Rivera Chiropractic conveniently located in Sanford, Deltona and Casselberry, we aim to educate our patients about Chiropractic and other natural solutions to common health problems in order to motivate you to take a more active and responsible role in restoring and maintaining your own health as well as the people around you. If you are looking for a Sanford Chiropractor, Deltona Chiropractor, or a Casselberry Chiropractor call Rivera Chiropractic today. Finding a chiropractor who understands changing health care needs and the most current techniques and approaches to addressing health problems can be a daunting task. We hope that you will find this site helpful in learning more about our gentle chiropractic care as well as the ways that it can improve the quality of your life. A native Central Floridian, Dr. Seth Bowden was born in Orlando, FL and graduated from Oviedo High School in 2003. Dr. Bowden obtained his Bachelor of Science Degree in Biology in 2007 at the University of Central Florida, Go Knights!